Why should you join Team Nogueira Dubai? Here’s four easy reasons: Health, Fitness, Confidence and Family. At TND, we believe health and martial arts go hand-in-hand. We encourage a healthy lifestyle that involves good nutrition, reduced stress and mental stability. Our circuit training classes are known for their positive effects on the cardiovascular system and for fighting a quick battle against obesity. Through our martial arts disciplines we teach a lifestyle that promotes healthy living outside of the gym and how to apply the focus learnt on the mat in our daily routines. Within our facilities also provide a health café with a range of options varying from protein shakes to full meals in order to provide you with all the nutrients you need to achieve your peak. 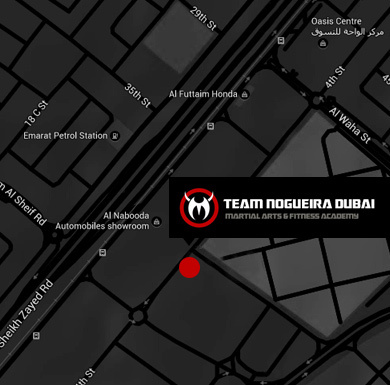 Come to our gym and learn more on how you can lead a healthier life as part of the Team Nogueira Dubai family! Fitness is of primal importance at TND, it is one of the pillars of the lifestyle we promote at our gym. With a wide range of disciplines, we are able to cover all areas of fitness, so that no member is restricted to only one workout. Try Muay Thai to improve your cardio and speed or give Aikido a chance to find out how to build mental and physical strength as one. In addition to our classes, we have an excellent range of equipment available for all member so that they can improve their fitness on their own as well as with the help of our qualified coaches. Ask yourself what are you fitness goals and share them with our coaches, we guarantee that they will give their all to help you achieve your optimum capacity and dreams faster than expected. 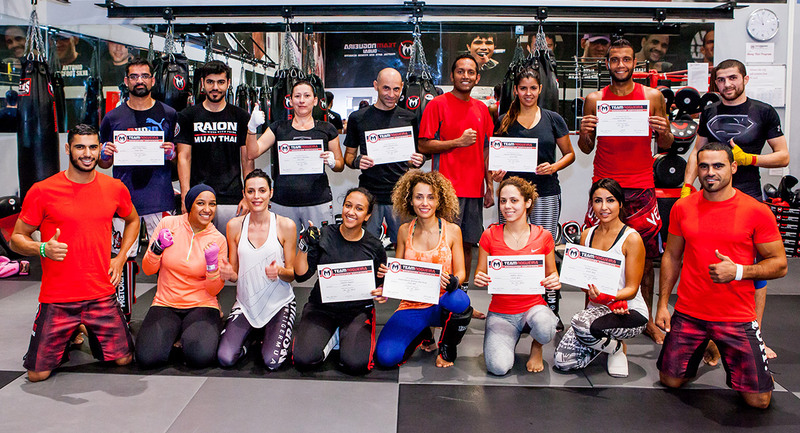 Team Nogueira Dubai is a place full of fitness success stories, visit our blog to learn more about our members whose lives have changed since joining our family. It is universally known that martial arts help build confidence. Through practicing any martial art, you will find ways to grasp a better understanding of yourself and what you are capable of. We at TND preach that high self-esteem is one of the best pay-offs of training at our gym. By learning how to win and how to lose, you will certainly understand what you’re made of and learn how to truly like who you are. A fighter has a quiet self confidence that is clearly seen in all of our coaches and long-term members. We believe that with the right training, our bodies and minds can sync with one another to achieve a high level of self awareness that will come through both at the gym and in life outside of the gym. Find out who you really are and become who you want to be through our disciplines and with the support of the tight-knit Team Nogueira Dubai family. Many of our members have found themselves in our mats, their stories are shared on our blog at #TNDNEWS. At Team Nogueira we are truly one family – just ask any of our regular students! Training partners become brothers and sisters, and this family ethos extends throughout all the members of our team, as you’ll soon notice when you step through our door: go here for their take on what makes TND such a special environment!